There’s something charming and romantic about the medieval period – all those castles, knights and princesses in need of rescue. Of course, in reality medieval life was a hellish mix of mud, plague, starvation, and serfdom, but that doesn’t mean you can’t escape into the Disneyesque version of the past with a bunch of pseudo-historical slots at EnergyCasino! Let’s start off with something quite unique; Castle Builder from Microgaming. It’s a five-reel, three-line slot with symbols consisting of royal family members and treasure, but you’ll actually build a castle as you win! Boasting charming Settlers-like graphics, and including a map and interactive story, Castle Builder offers an awful lot of entertainment value and, if you’ll forgive the pun, takes slot games into new realms! If you’re looking from something more traditional, check out Royal Crown, from BF Games, and enter a flame lit royal court, lined by fully-armoured knights! 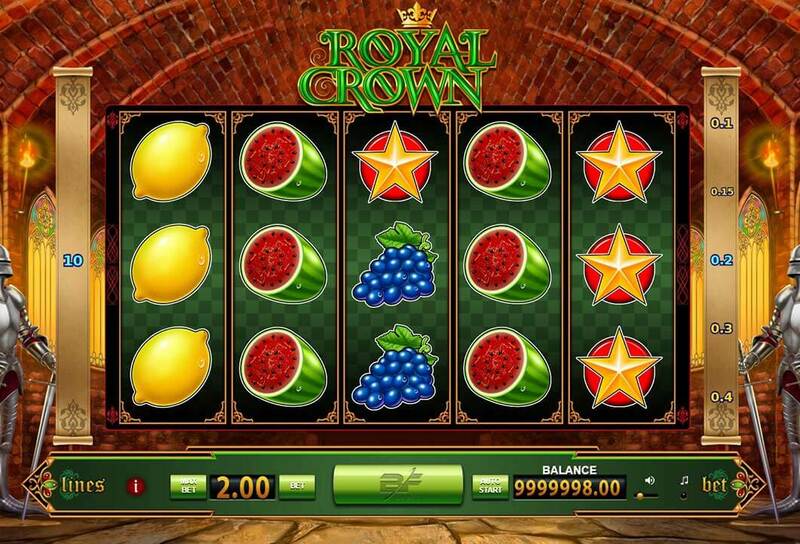 You’ll find the normal fruit machine symbols like oranges, plums, lemons, cherries, melons, grapes, stars, bells, but it all has a distinctly regal touch to it! Magic Mirror, from Merkur, features gorgeous emerald, golden, purple and ruby symbols. It’s definitely going for a Celtic theme but, maybe because of nationality of the developer, the castle looks rather too Germanic! Still, if we’re picking at realism issues, perhaps the unicorns should top the list! In a similar vein is Knight’s Life, also from Merkur, and with more of a Rhine Valley castle thing going on. If you fancy something a bit more legendary, checkout Robin Hood: Shifting Riches from NetEnt. Now, as most Brits know, the story of Robin Hood is rather murky and confused, but who the hell cares, this game is great fun! Starting off with a slick animation of Robin Hood and his band of Merry Men ‘liberating’ a chest of coins from the Sheriff of Nottingham’s soldiers, to get you in the mood, this game goes on to offer lots of features! From Free Spins to Shifting Reels – that can multiply winnings by up to five times – Robin Hood: Shifting Riches keeps the fun flowing for hours. So go on, head down to Sherwood Forest and help stick it to ‘the man’… the ‘medieval man,’ that is. Staying with NetEnt and the British Isles, we journey to Cornwall (or maybe it’s Wales) and enter the mysterious world of Excalibur! The reels are adorned with imagery of this most romantic of legends; with the Sword in the Stone, King Arthur, Camelot, Merlin, the Lady of the Lake, a dark knight, and of course, a pretty princess! Given that there are so many different versions and suspected origins of the Camelot/King Arthur/Excalibur stories – with no one really even knowing which century it was a supposed to be in – NetEnt have pulled together a pretty coherent and fun slot. If you want a bit more of Merlin specifically, you can check out Merlin’s Millions, from Microgaming. Head deep into the woods and you’ll find the great wizard dishing out plenty of coins and potions! If you like Excalibur then you’ll probably love Avalon II: The Quest for the Grail from Microgaming! A visual epic, packed with extra features like the Lake of Legend, Misty Vale, Dusky Moors, Hall of Shadows, and Isle of Avalon, the game centres around the search for the Holy Grail – in this case a chalice of immortality. Again, this slot features knights, Merlin, Camelot, princesses, and Excalibur, but with a subtly different visual style than the NetEnt game. So, put on your best chainmail and get spinning!